We’re all susceptible to FOMO, the dreaded Fear Of Missing Out. Popularized by Sherry Turkle’s 2011 bestseller, Alone Together, the acronym refers to the uniquely alienating experience of scrolling through social media hubs like Facebook and feeling like everyone's doing things without you and before you. But what if that same technology told you what to do before everyone else? That’s the premise of a futuristic new project, "The Fear Of Missing Out," by artist Jonas Lund. While Lund roots his experiment in art creation, his concerns are widely resonant: Can data be used to predict cultural flashpoints before we can? And if so, should we harness that power? The project hinges on an algorithm designed by Lund. Using it, an artist can theoretically determine the ideal work to create at a given point in her career, before she’s thought of it herself. Horizon Birth grayish-blue, by Jonas Lund. 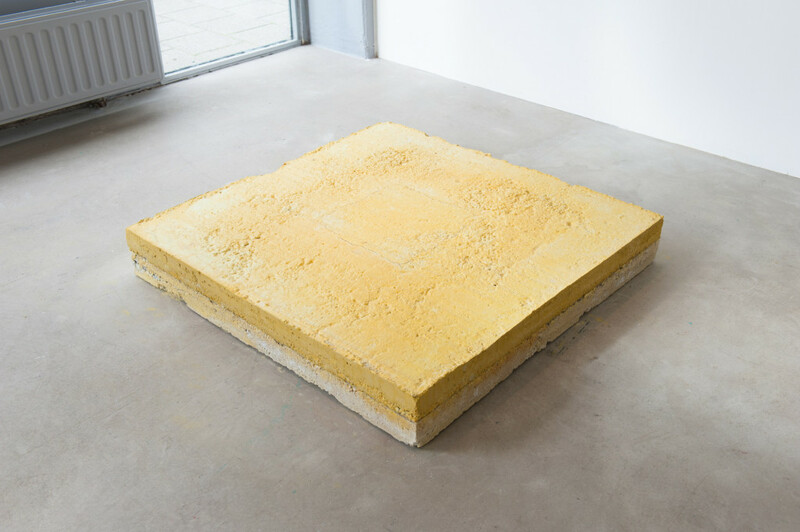 Made of concrete, plexiglass, plaster. Photographed by Lotte Stekelenburg. 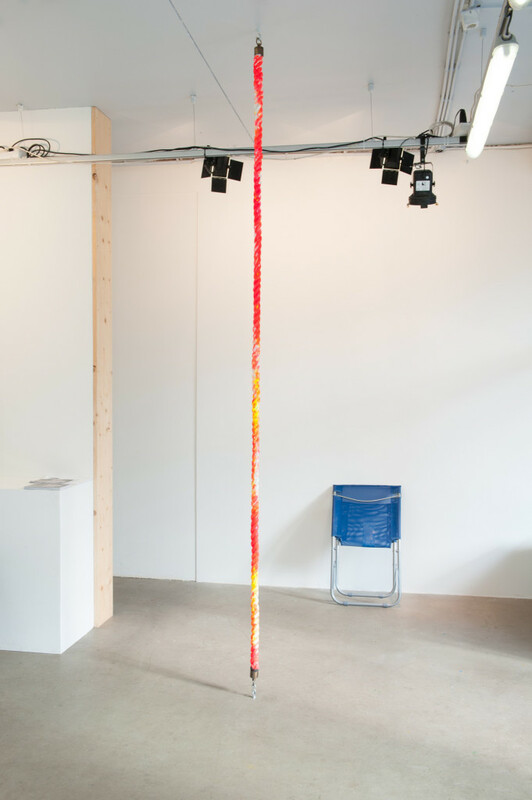 For the past few weeks, Lund has been using the algorithm to build a show at the Showroom MAMA in Rotterdam. Here’s how the process goes: Lund enters vitals such as his age, the size of the space he’s exhibiting in, the price point he wants for his work, etc. The algorithm sifts through a vast database scraped into existence by Lund and populated with the names of top-ranking curators, works, galleries and artists. It then spits back an imagined work Lund should make. Untitled, by Jonas Lund. 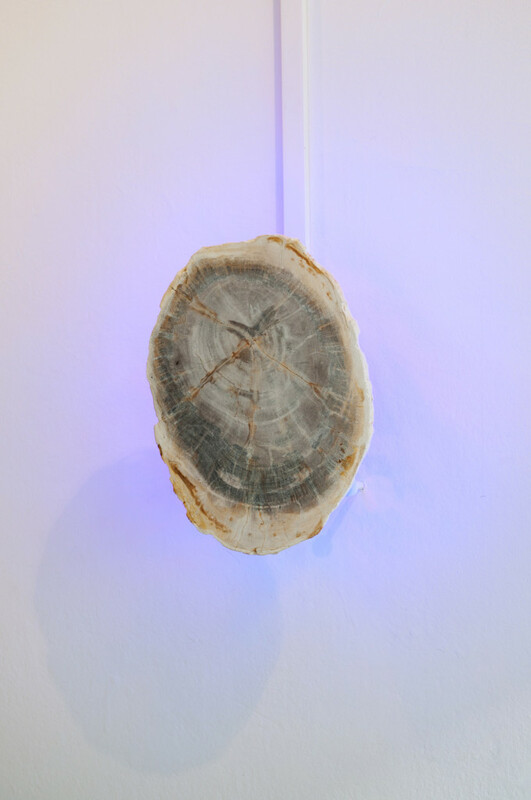 Made of petrified wood and light-emitting diodes. Photographed by Lotte Stekelenburg. Each of the algorithm's answers involve three elements -- title, materials and instructions. 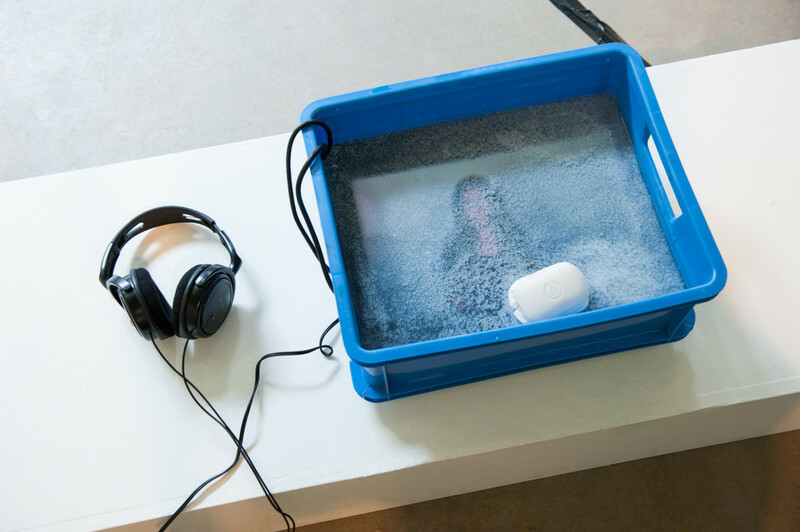 One of Lund’s MAMA installations, “Cheerfully Hats Sander Selfish,” demanded that he “place the seven minute fifty second video loop in the coconut soap." Cheerfully Hats Sander Selfish, by Jonas Lund. Made of coconut soap, and a seven minute and 50 second video loop. Photographed by Lotte Stekelenburg. And computers can fuel human creativity. While many of Lund's MAMA pieces seem exactly like what they are -- chimeras generated by a crude art-making algorithm -- some are more inspired. Take one of Lund's prettier results, Shield Whitechapel Isn’t Scoop (nonsensical titles seems to be one of the byproducts of algorithmic art creation). The work, a rope stretched vertically and printed with ink, took Lund by surprise. “I would never have thought of doing it, and it’s really a great piece,” he says. Shield Whitechapel Isn’t Scoop, by Jonas Lund. Made of acrylic and silkscreen ink on a custom rope. Photographed by Lotte Stekelenburg. Could the algorithm explode a career? Lund thinks not. “A foolproof algorithm for how to make, like, a Damien Hirst work” isn’t, in his mind, within the realm of possibility, he says, due to the demands of production and marketing. Even if the algorithm suggested using a diamond encrusted skull, for instance -- the prime material in Hirst’s showstopper, For The Love Of God -- only wealthy and well-connected artists would have the resources to follow through. Simple triumphs, like the printed rope, are also limited in what they can achieve, Lund says. "Credibility” and a “large body of work” are more crucial to an artist’s career than a one-off success, he says, and "hard to generate” by way of a finicky algorithm. But even if a brave new art world isn't nigh, the questions simmering behind Lund's MAMA exhibit feel newly important given our current technological capabilities. How important is strategizing in an artist's career? What do galleries value? Lund says he feels ownership when he looks at his MAMA pieces. At what point, then, does creation begin? 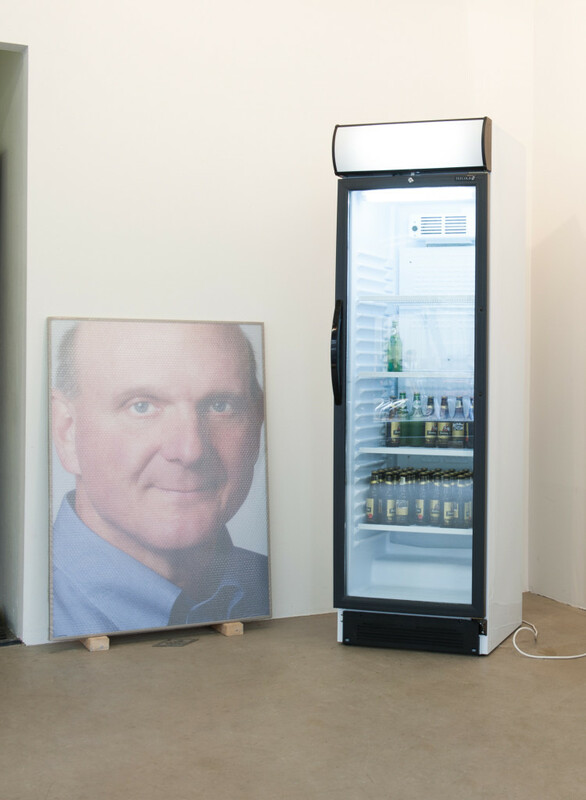 Steve Ballmer, by Jonas Lund. Made with a fridge and six crates of beer. Photographed by Lotte Stekelenburg. While Lund says he could envision his algorithm working well in a classroom, as a directional tool, he adds that he's not confident enough in the accuracy of his data to release it for public use just yet.